Rajesh Mirchandani is a global communications leader and former British television journalist. Currently, Rajesh is the Chief Communications Officer for the UN Foundation. Previously, he spent more than two decades reporting from around the world as a BBC correspondent and news anchor, covering international events from Typhoon Haiyan in the Philippines to the Academy Awards in Hollywood, Calif. His award-winning reporting has been broadcast on the BBC World Service and BBC World News. H.E. 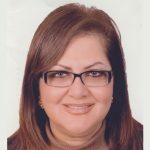 Hala Helmy El-Saeed is the minister of planning and administrative reform for the Ara Republic of Egypt.Dr. Hala El-Said worked as Executive Director of the EBI, Central Bank of Egypt, during the period January 2003 – August 2011. She worked also as Professor of Economics at Department of Economics, Faculty of Economics and Political Science, Cairo University since September 2004. El-Said is considered as women’s banking figures. She led the Egyptian Banking Institute (EBI), which is the training arm of the Central Bank of Egypt (CBE) for a period of eight years, during which EBI has the international accreditation «2006-2008» . Pearnel P. Charles Jr. serves the people of Jamaica as Senator and Minister of State in the Ministry of Foreign Affairs and Foreign Trade. He previously served as the Minister of State in the Ministry of National Security. Mr. Charles had specific responsibility for the Department of Correctional Services, the Jamaica Combined Cadet Force and other projects within the national security portfolio. 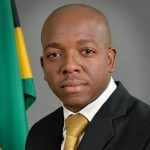 He served as the Jamaica Labour Party Deputy Spokesperson for National Security in 2014, advocating for progressive policies to effect sustainable reduction in crime and violence as well as the introduction of innovative technology to support and advance the efforts of the security forces. Senator Charles is an Attorney-at-Law with qualification to practice law in Jamaica and the United States of America (New York Bar). H.E Nayef Hmeidi Al Fayez has occupied the posts of Minister of Tourism and Antiques and Minister of Environment in Jordan for several times. In 1993, Al Fayez Joined the Royal Hashemite Court served closely to H.M. King Abdullah II and Queen Rania. Al Fayez served as Head of Protocol for Her Majesty before starting to work in several advanced positions within the Jordanian Government in 2006 focusing on development of tourism in Jordan and heading several leading companies and entities such as Jordan Tourism Board, Royal National Co. for Tourism Development, Royal Academy of Culinary Arts – Les Roches and Jordan Heritage Revival Company. H.E. 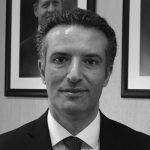 appointed as a Chairman of the National Microfinance Bank in February 2017 and elected for the position of Chairman of The Jordanian Microfinance National Network and He is a member of the higher steering committee of Arab Gulf Programme for Development (AGFUND). John W. McArthur is a senior fellow in the Global Economy and Development program at the Brookings Institution. He is also a senior adviser to the UN Foundation and a board governor for the International Development Research Centre. He was previously the chief executive officer of Millennium Promise, the international nongovernmental organization. He has also been a senior fellow with the Hong Kong-based Fung Global Institute, a faculty member at Columbia’s School of International and Public Affairs, and policy director at the University’s Earth Institute. 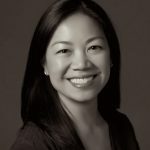 Alexandra Hiniker is Strategic Relationships Manager for the Mayor’s Office of International Affairs, where she is responsible for highlighting the connections between global and local sustainability through the Global Vision | Urban Action portfolio. 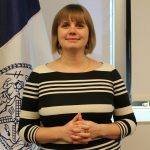 Before joining the Mayor’s Office, Alexandra was the PAX Representative to the United Nations, focusing on the protection of civilians in Syria, Iraq, and South Sudan. Previously, she worked on humanitarian disarmament in some of the world’s most bombed and mined countries, first with the United Nations in Cambodia, and then with the Cluster Munition Coalition in Laos, followed by Lebanon. She began her international development career implementing pandemic preparedness projects in Africa, Asia, and Eastern Europe. 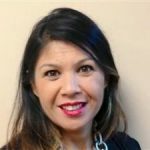 Helen Medina joined Nestlé in February 2017 and was appointed the role of Senior Public Affairs Manager, Government and Multilateral Relations. She is responsible for building internal government and multilateral organisation relationships and engagement plans coordinating across functions, markets and globally managed businesses. She is also responsible for the implementation and communication of partnerships. Helen joined Nestlé from the US Council for International Business where she led work on, food and agriculture, health care, product policy and intellectual property. 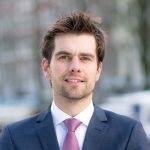 Justin Perrettson is Head of Global Engagements (Corporate Sustainability & Public Affairs) for Novozymes, the world`s leading bio innovation company. 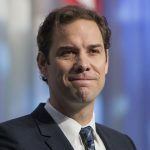 Active across a number of areas that address the interface between business and public policy, Justin works on a number of issues related to Sustainability, Climate and the Environment, including the development of innovative Public-Private-Partnership (PPP) approaches. 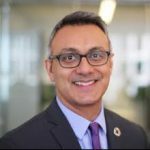 He has been at the forefront of Novozymes’ strategic engagement with the Sustainable Development Goals and the 2030 Agenda since 2012. 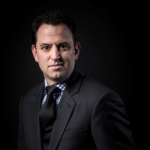 Gerbrand Haverkamp is the founder and Executive Director of Index Initiative. Index Initiative one of the founding partners and drivers behind the World Benchmarking Alliance (WBA). The WBA intents to fund, house and safeguard publicly available corporate SDG performance benchmarks. Free corporate benchmarks aligned with the SDGs will help companies, investors and others drive change by raising awareness and promoting a corporate race to the top. Before starting Index Initiative Gerbrand worked for the Dutch Government in the areas of inclusive business, sustainable agricultural supply chains and food security. Govind Pandey is the Chief Executive Offive of TBWA\Group India. With over 20 years in the industry, Govind has led the TBWA\Group India operation over the last 12 months, deepening the agency’s capabilities and talent, which has resulted in interesting new business wins and award-winning creative for our clients. 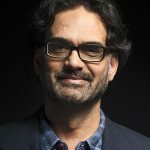 Pandey’s rich advertising career, spanning over two decades, has seen him hold senior positions in some of the world’s most respected agency networks. Prior to joining TBWA\India, Pandey was chief operating officer of McCann Worldgroup, India, a network he worked at for 14 years. He has also worked with Ogilvy & Mather, and Lintas, in India. Xeenarh Mohammed as the Executive Director of Nigerian LGBT rights group The Initiative for Equal Rights. 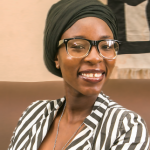 Xeenarh is a lawyer, activist, community organiser and holistic security trainer with over a decade of experience working on human rights issues across sectors within and outside Nigeria. 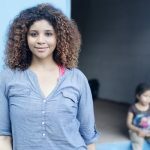 Xeenarh has in the last few years worked with organisation such as Open Technology Fund, Love Nigeria Foundation, Heinrich Boll Stiftung and freelanced for many other organisations on issues relating to human rights, gender and social development. Xeenarh is skilled in digital security and sexual rights, specifically LGBT rights and network of partners working on similar issues across the world. She will be ensuring our commitment to providing a safe space, ensuring a healthier community, legal protection, and changing narratives remains a key focus. 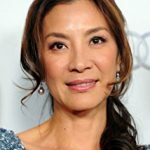 Michelle Yeoh Choo-Kheng is a Malaysian actress who achieved fame in the early 1990s, after starring in a series of popular Hong Kong action films in which she performed her own stunts. Born in Ipoh, Malaysia, she is known internationally for starring in the 1997 James Bond film Tomorrow Never Dies, and the Chinese-language martial arts film Crouching Tiger, Hidden Dragon, for which she was nominated for the BAFTA Award for Best Actress in 2000. 2 comments on Have we made progress on the SDGs?